Passwords and PIN numbers have long been a standard security measure, but a new wave of smart devices decked out with biometric verification capabilities – such as fingerprint and iris scanners – are providing users further authentication options. Biometric verification technologies have, in particular, quickly become a standard feature of new-release smartphones, especially the flagship models, and the methods of verification are becoming increasingly diverse, from fingerprint scanners to facial recognition. The way that we interact with devices is changing, and biometric verification has become a major selling point of new smartphone releases. So, what are some of these verification technologies and what are they used for? Among the biometric verification technologies being integrated into smart devices, fingerprint scanners have been a market forerunner and are now commonly found across a large range of new-release smartphones. While fingerprint scanner technology naturally differs from one new smartphone model and its manufacturer to the next, the premise is that a scan is taken of the user’s unique fingerprint, with the user then able to verify their identity when required by placing their finger on the device scanner. According to recent research from industry analysis firm Counterpoint Research, more than one billion fingerprint sensor-enabled smartphones are set to be shipped in 2018, with take-up of the technology being “driven by a rapid rise in services such as digital payments, mobile banking and the commensurate increase in the need to be able to authenticate the user securely”. Counterpoint Associate Parv Sharma commented that in the 2018 calendar year “almost three in four smartphones will be equipped with a fingerprint sensor”. “The penetration of fingerprint sensors in the low-mid-end smartphones will increase next year due to rising scale and declining cost of the fingerprint sensor, making it one of the essential components in a smartphone,” Sharma stated. While fingerprint scanning may be the most commonly employed biometric verification technology in smartphones, facial recognition technology has been generating a lot of attention of late following Apple’s release of the iPhone X.
Apple introduced its Face ID technology with the iPhone X, which it states only unlocks the smartphone “when customers look at it and is designed to prevent spoofing by photos or masks”. Apple explains that Face ID creates “a mathematical model of your face”, with it sending “the data to the secure enclave to confirm a match, while adapting to physical changes in appearance over time”. In addition to unlocking the iPhone X, Apple states that Face ID can be used to enable its Apple Pay payment technology and to gain access to secure apps. Certainly, it’s early days as far as facial recognition technology is concerned, and Apple’s approach to employing the technology in future releases, across its ecosystem of devices, will be keenly monitored by industry. Samsung has integrated a range of biometric verification technologies in its recent flagship Galaxy S8 and S8+ and Galaxy Note8 smartphone releases, with iris scanning available alongside fingerprint scanning and facial recognition. 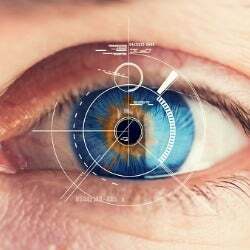 Following release of the Galaxy S8 line earlier in the year, Samsung advised that, with the S8 decked out with a dedicated iris camera, iris scanning “uses mathematical pattern recognition of images of an individual’s iris, either from one or both eyes”. Samsung explained that once a user registers their iris information on the Galaxy S8, the information is stored as an encrypted code. “When a user attempts to access content, such as a protected app, the IR LED and iris camera work together to capture the iris pattern for recognition, and to extract and digitise the pattern, and compares the digitised pattern with the encrypted code to verify identification,” Samsung advised. As a means of accessing a smartphone or smart device, biometric verification has the potential to provide users a quick and easy alternative to tapping in a PIN number or password each time they want to unlock their device. Certainly, bypassing the need for a PIN number or password, biometric verification can significantly simplify the authentication process, however as with any sort of security technology it is important to follow the proper procedures. Consumers should do their research about the respective biometric verification technologies on offer and gain an understanding of how they operate before purchasing a new device. Beyond smartphone access, the technology is finding its way into a range of applications – notably mobile payments, both in-store and online, with a number of technology heavyweights active in this market, offering digital wallet services. 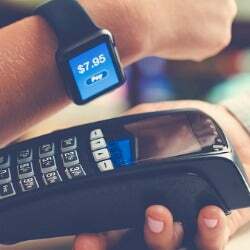 Analyst firm Juniper Research earlier this year forecast that mobile payments authenticated by biometrics would total nearly 2 billion this year, rising from just over 600 million in 2016. 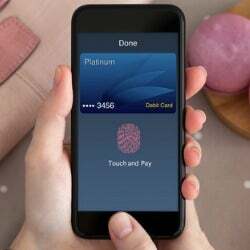 According to the Juniper research, Apple’s Apple Pay had provided the catalyst for initial growth, with other services, including Google’s Android Pay and Samsung’s Samsung Pay, increasingly offering biometric authentication solutions. 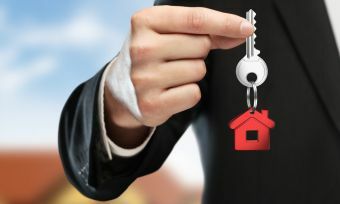 Meanwhile, as smart home and smart vehicle technology continues to evolve, biometric verification applications across an ever-growing ecosystem of devices could provide users convenient and personalised access to services. Indeed, amid the ever-growing Internet of Things, how biometric verification is employed across different industries and services, and how this shapes the user experience, will be a point of interest going forward.